David Bowie was the most popular recording artist in the UK last year, with fans flocking to buy and listen to his music following his death. Bowie, who died two days after his 69th birthday in January 2016 having just released his latest album Blackstar, beat perennial chart-toppers Adele and Canadian artist Drake. 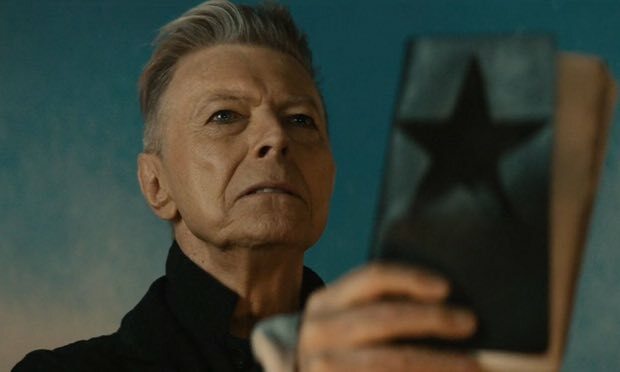 The equivalent of more than 1.6m Bowie albums were bought or streamed in the UK last year, led by purchases of Blackstar, which also helped drive vinyl record sales to a 25-year high. Bowie easily outstripped Adele who ranked second, selling 1.1m music albums - 40% fewer - and Drake who ranked third, with 1.09m albums sold. Bowie clocked up 1.65m album equivalent sales, a measurement developed by UK music industry body the British Phonographic Industry (BPI) that combines physical and digital sales of CDs and albums as well as streams in to a single figure to give the overall sales popularity of an artist. One thousand streams of a track, or 10 downloads, are equivalent to one album sale. Bowie’s success - which also saw signficant sales of the Best of Bowie and The Rise and Fall of Ziggy Stardust and the Spiders from Mars - was driven by almost 1.5m physical and digital albums sales, 510,000 tracks downloaded and 127m streamed. The passing of Bowie and Prince last year fuelled a huge surge in physical and digital purchases and streams of their greatest hits and back catalogues, which the BPI estimates at equivalent to almost 2m albums combined. “There has also been an undoubted resurgence in pop and rock nostalgia, you can see it in things like the increase in vinyl sales, perhaps due to the homogeneity of so much of the mainstream music scene,” said Hilton. Earlier this year the IFPI, the international music industry body, said that Bowie was the world’s number two bestselling recording artist in 2016, behind Drake. “In the old model that meant selling cartloads of greatest hits albums, in the streaming era that translates into phenomena such as David Bowie and Prince dominating streaming charts,” said music analyst Mark Mulligan. The BPI, which released its annual yearbook All About Music on Thursday, also analysed the 10,000 most-streamed tracks last year and found that 53% of the music favoured by music fans was more than two years old. It also appears that albums are rapidly becoming something only older people are listening to on digital services, with more than three-quarters of streams of music coming from albums released before 2014. “It is interesting to see that 77.2% of album streams are pre-2014 which suggests it’s only the oldies that are using streaming to listen to albums,” says Mulligan.